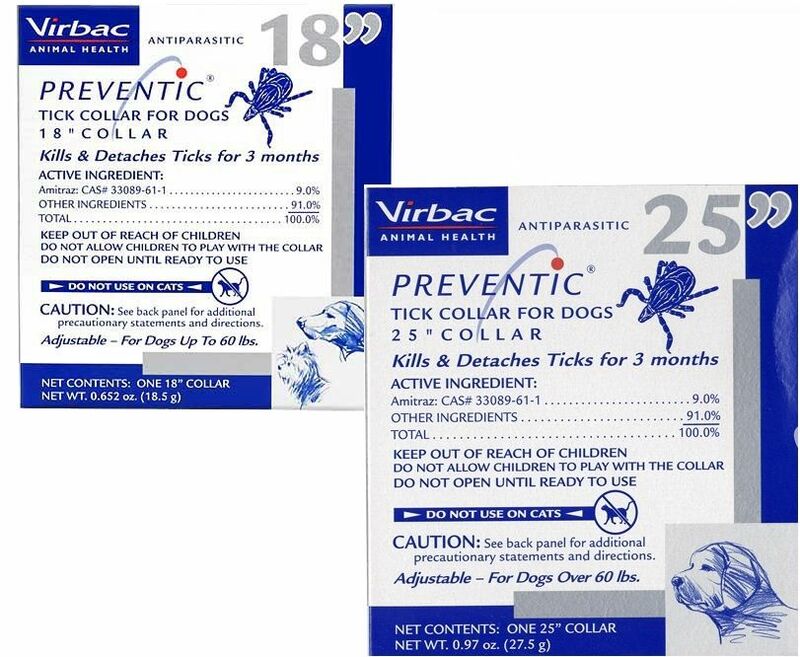 Preventic Dog Collar Single Pack. 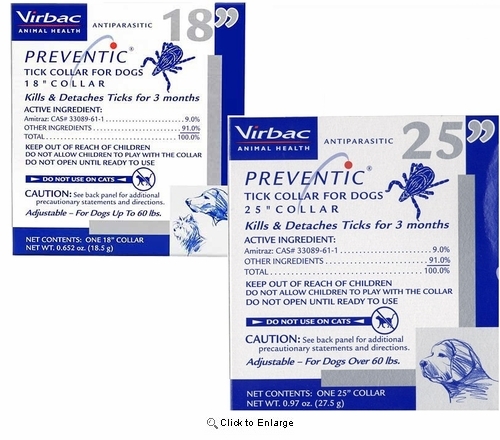 Tick control collars for dogs. Adjustable 18" or 25" collars fit most dogs. Kills and controls ticks for up to 3 months. Prevents new ticks from attaching and feeding within 48 hours after first application. Collars are water resistant. 18" - For dogs up to 60lbs. 25" - For dogs over 60lbs. Active Ingredient: Amitraz - 9%. FOR USE ON DOGS ONLY. READ ALL WARNINGS AND INSTRUCTIONS ON PACKAGE PRIOR TO USE.